The Collins is such a classic cocktail it even has a namesake glass. 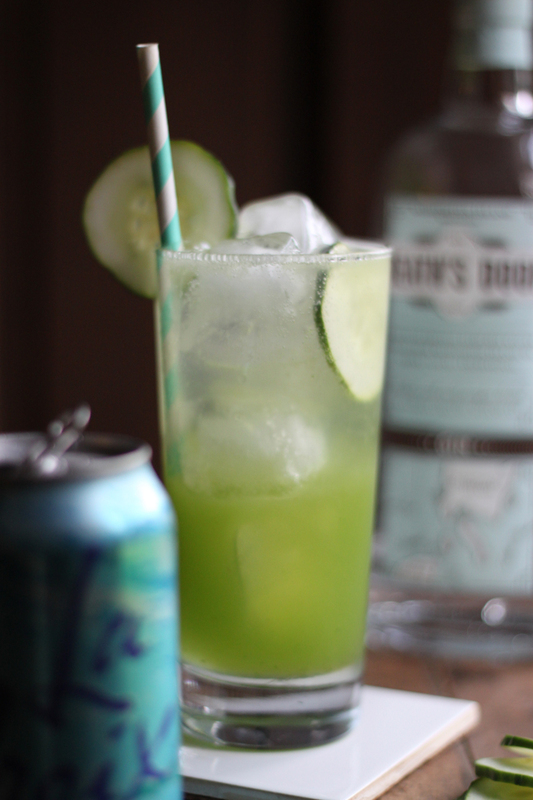 And I'd be so bold to call the Collins the official drink to wrap up summer - especially this cucumber riff on it. 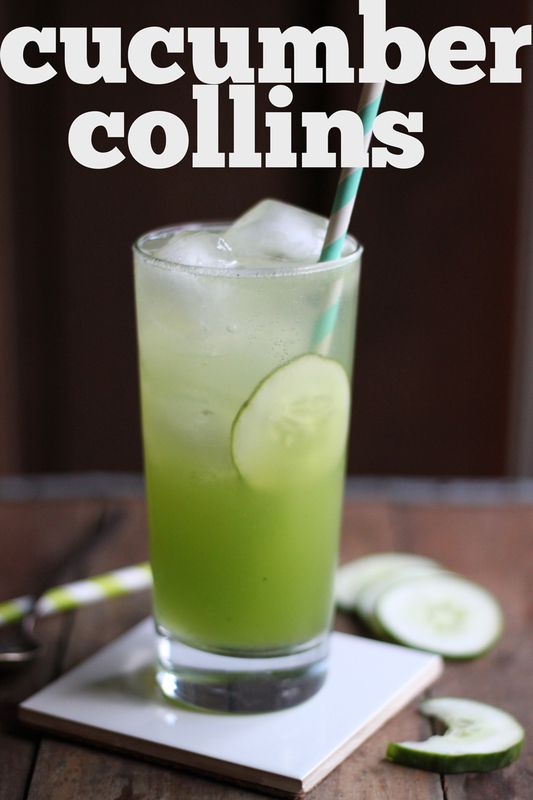 Collins are a family of drinks that consist of lemon juice mixed with sugar and topped with booze and soda water. The most popular being the Tom collins and made with gin, Old Tom Gin if you want to be official. Unfortunately, Collins developed a reputation for being an old mans drink some where after the 1950's when prepared Collins mix was being populated by bar keeps. If you keep a few lemons in the fridge and some soda water in the pantry - you will always be prepared to make a riff on this classic cocktail. Right now our garden is spitting tomatoes, cucumbers, and zucchini, forcing me to brush up my cucumber recipe repertoire. I've discovered how easy it is to make cucumber water by tossing cucumber in the blender with a bit of water and straining the pulp out. The result is a refreshing vibrant green juice that is equally delicious alone, with ginger beer, or mixed with gin. 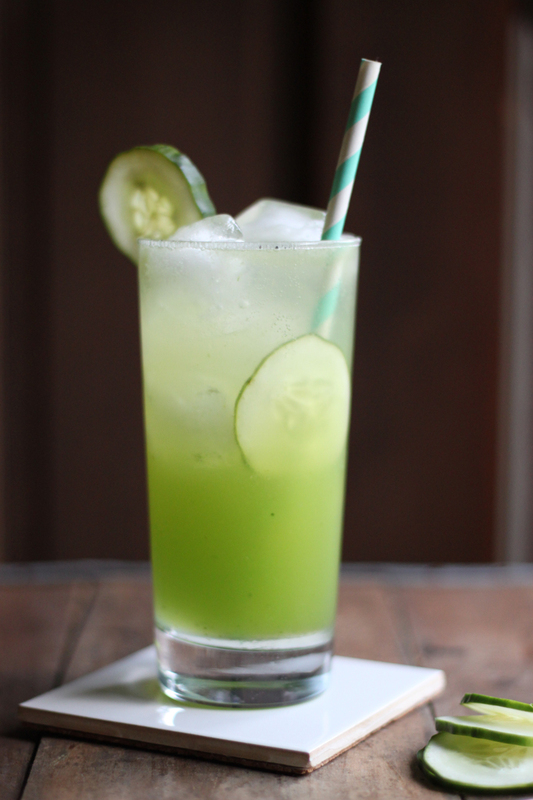 Combine the Cucumber Water, lemon juice, and sugar in a collins glass - stir to dissolve sugar. Fill the glass with ice, add the gin and top with soda water. Give the glass a few stirs with a straw or cocktail spoon before serving. Combine cucumber, water, and salt in a blender. Puree until smooth. Pour blended mixture through a fine mesh strainer into a large lidded container (I like a mason jar - surprise, surprise) and store in the fridge for up to 3 days. We need to chat! We are moving in September too - but we will still be in Marietta. You should! 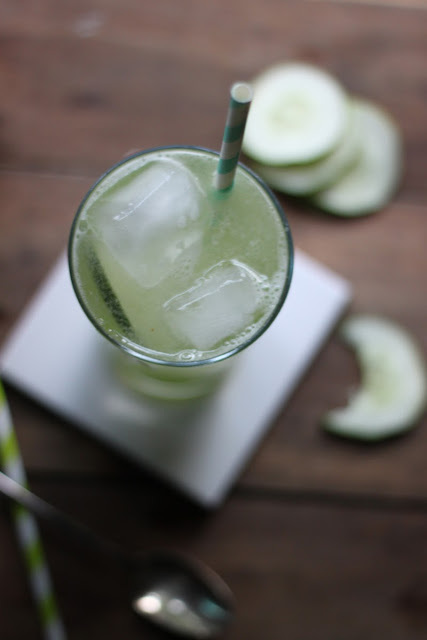 We have been loving the cucumber water with a squeeze of lemon and some agave nectar at the office this week.